Skinnywench at A Word in Your Ear has dipped into her dictionary and drawn out this week’s word: Glitter. Obviously when looking through our photos, we came across quite a few involving light on water, but there were a few other interesting shots as well. Thanks again, AWIYE, for hosting these challenges. Great fun! 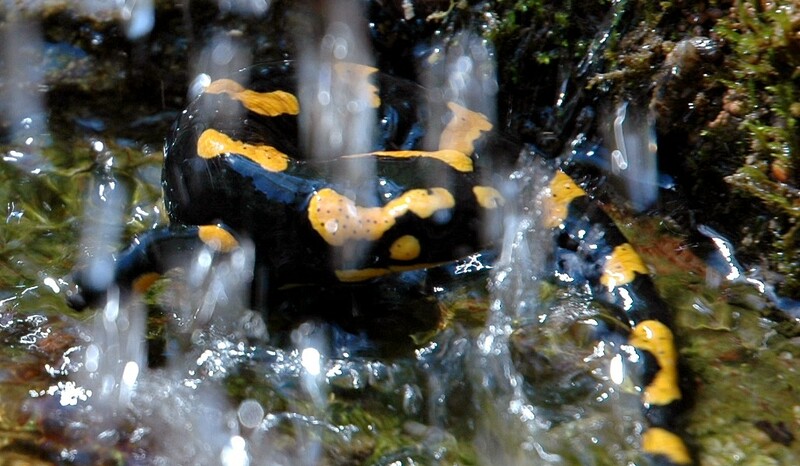 Here’s a shot of a European fire salamander, seen through the glittering streaks of a small waterfall. 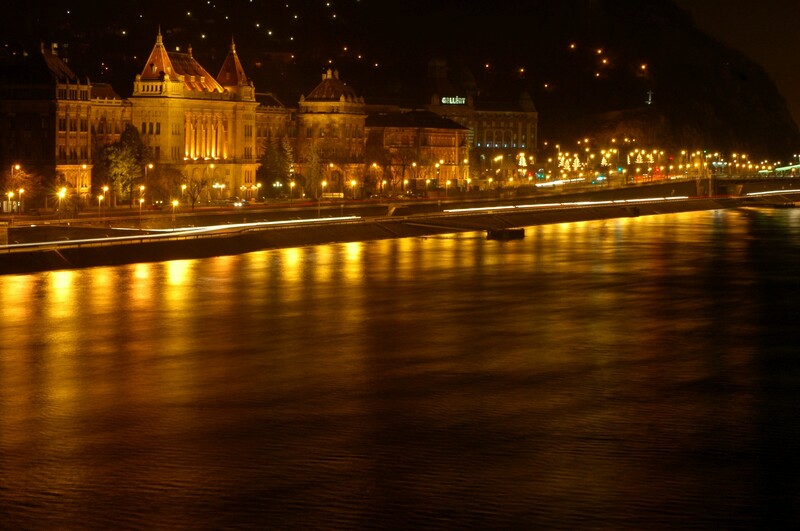 Budapest is a gorgeous city, and the city lights on the River Danube made it run with gold. 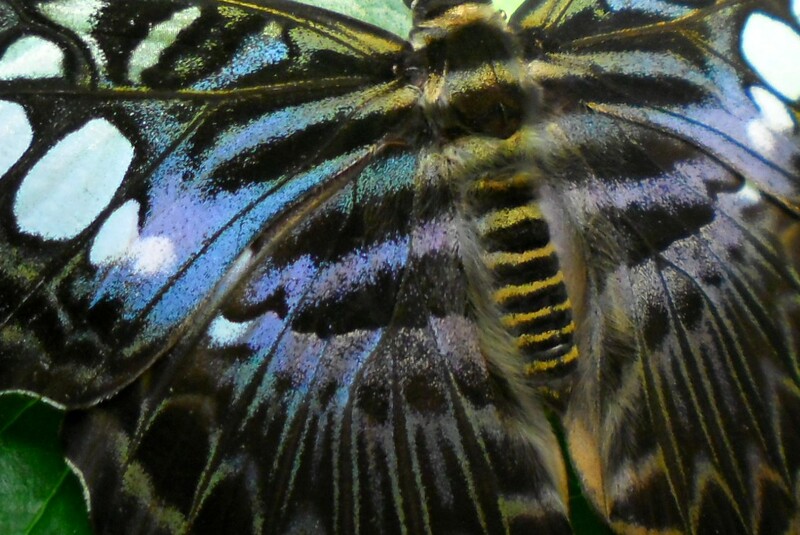 Butterfly wings are covered with thousands of tiny chitinous scales (Lepidoptera, which includes moths and butterflies, means “scale wing” in Greek) and the colors you see are a result of structural effects – refraction, diffraction, etc. – rather than pigments. Very cool indeed. 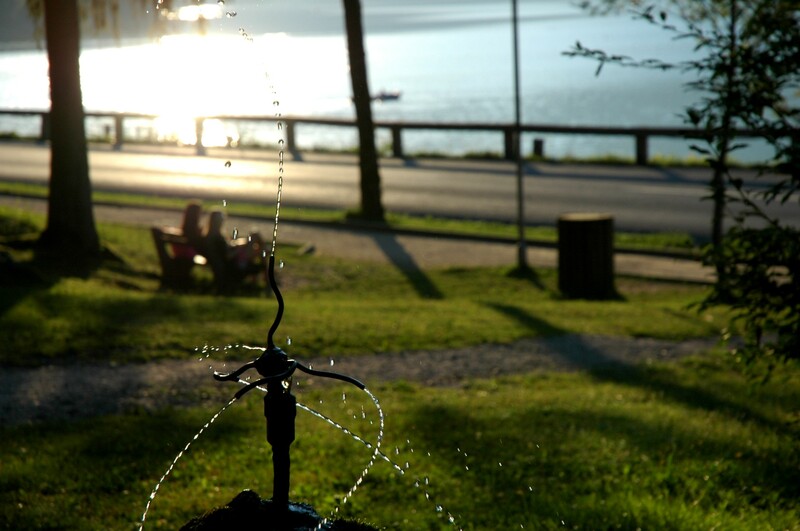 Almost every evening after dinner the family would walk down to Lake Bohinj, grab an ice cream cone, and enjoy the views. 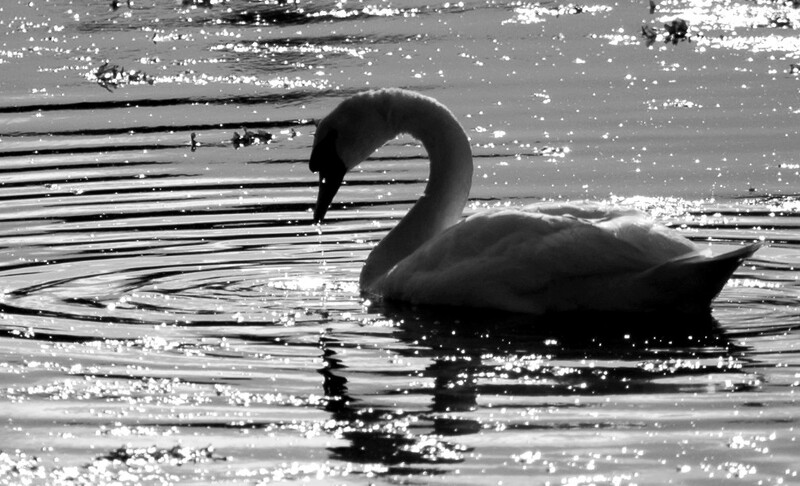 One of a pair of swans that would visit the tidal river in front of our cottage every day. 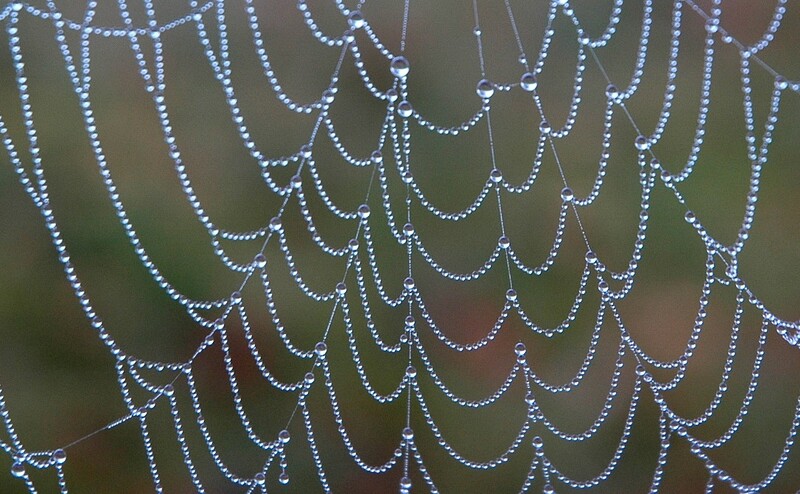 Who can resist the perfect pearls of dew on a spider’s web? My brother and I were hiking/fishing and got lucky with this beaver. Wait, that doesn’t sound quite right. 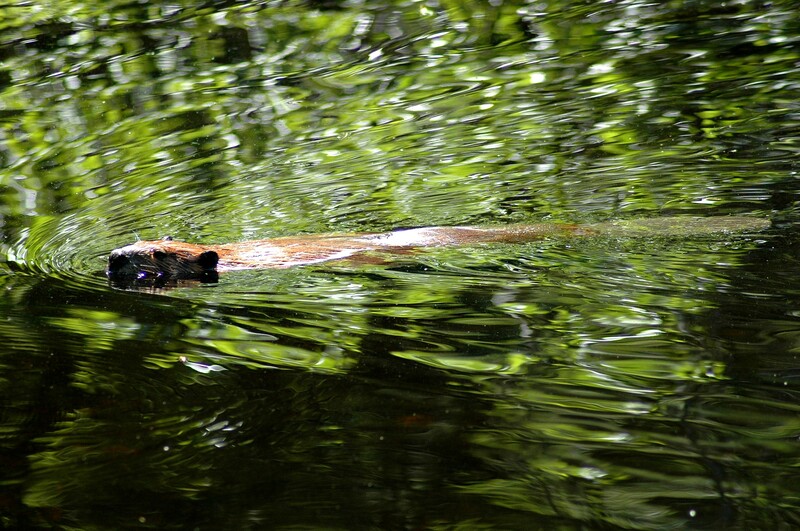 We were lucky enough to get good photos of this beaver. Again, early morning dew on a very interesting web. 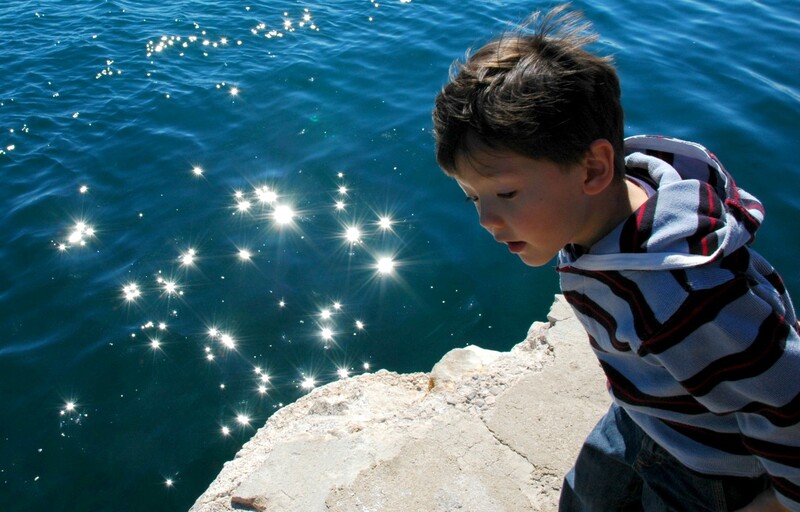 This photo was included in the post “How to Shoot Your Kids,” but it was just too glittery not to reprise here. Well, thanks once again, Skinnywench, and I look forward to more photo challenges. Cheers! I have seen necklaces like that spider’s web but nothing comes near it in delicate beauty. Thanks, sarahneeve. My boys fed those swans just about every day we were there, and it was a lot of fun for them. Cheers! That spiderweb shot is amazing! Thanks, LB. Early morning webs present great opportunities. Although I’ve never done it, you can also bring a spray bottle with you when you’re out taking photos and spray webs to get the same effect. 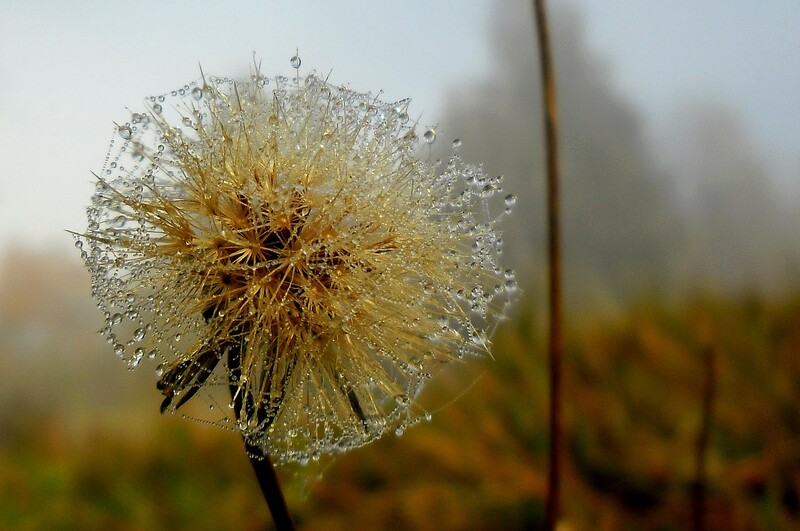 Cheating a bit, perhaps, but you can’t always wait for a dewy morning, I suppose. Thanks for your comments!